This will be the toughest micro-run sportsballathon you’ll ever run. 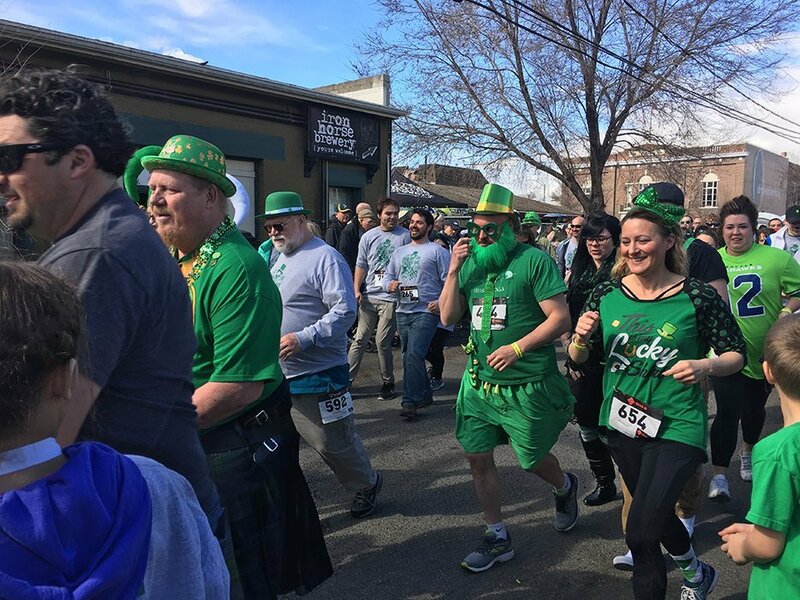 Ellensburg, WA (January 15, 2019) Humans of all ages are invited to the fifth St. Paddy Day Half K, a micro-run containing all the fun of an ultra marathon combined with sportsballing activities, taking place on March 16th in Ellensburg, WA. It’s sure to be a slam dunk! We hope you’ll join us for this fast race, fast time and fast fundraiser. You might even break a sweat because running is a sport. Let’s “tee up” so we can raise $10,000 for FISH Food Bank as a community. To really make a meaningful impact we need all of you because, well, there’s no ‘I’ in team. The race in Ellensburg kicks off at 2 p.m. at [ the pub ], 412 N. Main St., Ellensburg, WA. The entire race only takes superstars about 8 minutes, but in our book, everyone’s a winner. There will be four heats of races; if you don’t want to try to break Usain Bolt’s sprinting record join one of the slower heats. Keep the ball rolling after the race with live music, food and games. You’ll want to do the wave when you hear how much fun we have lined up. Hair Nation, the ultimate 80s hair rock party band, will dazzle your earholes with a positive, high-energy show. Dakota Cafe and Iron Horse Brewery will serve up ballpark food to satisfy your hunger. Choose from options like hot dogs, pretzels, nachos and more. Don’t make a fumble and let the custom race t-shirt slip through your hands. Register by February 16th to guarantee yours. Tickets can be purchased online in advance for an early bird rate until February 16th. Then prices will go to their normal rate. Day of registration is available but you will probably have to wait in a long line, where we’ll make you do squats while you wait. Tickets at www.stpaddydayhalfk.com. 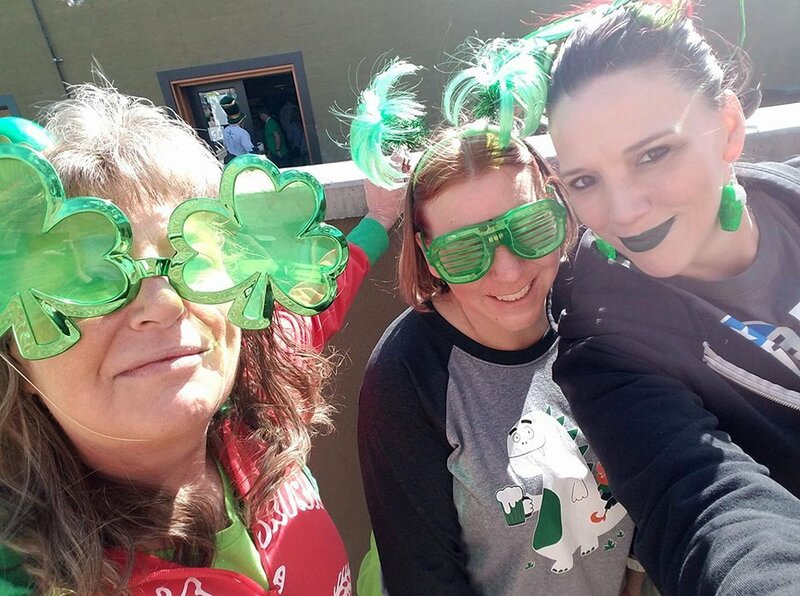 Entrants are encouraged to show up in St. Patrick’s Day themed outfits. Sriracha onesies or windbreaker jumpsuits are also approved. Did you know that $12 a month can feed a family of four for a month from FISH Food Bank’s pantry? One-third of all FISH’s households have children, and FISH provides food to all these families, allowing them to meet their other expenses like heating and clothing. When registering for the Half K please consider an extra donation to FISH. Your dollars give the food bank more buying power to help those in our community who need it most. This race would not be possible without the support and willingness of area businesses who will have to park elsewhere while we close down the alley. We’re in full swing to find sponsors that want to be on our team. 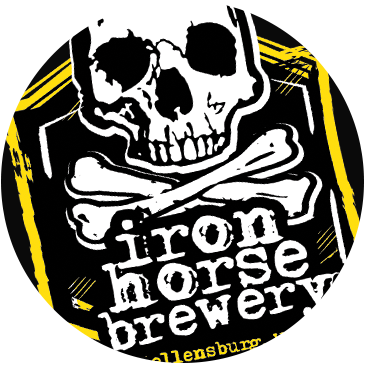 If you’re feeling generous enough to step up to the plate and help FISH Food Bank, please email aimee@ironhorsebrewery.com or visit PaddyOn.com. Registration packets will be available for pickup starting at 11 a.m. the day of the race at [the pub]. We will have early packet on Friday, March 15th from 3-7 p.m. at [ the pub ].